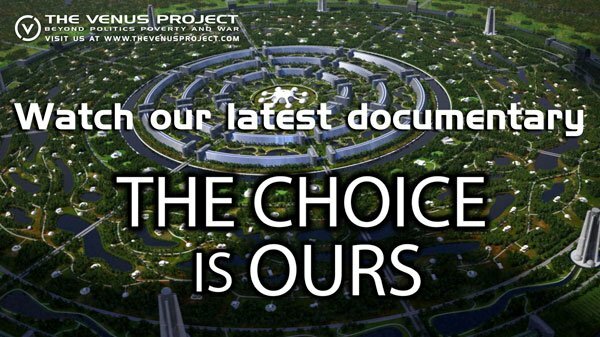 I could hardly believe it: the Venus project, which I thought to be a marginal utopian idea, was presented last year at the prestigious United Nations Assembly Hall for the 2016 Novus Summit, which rewards contributors addressing the 17 Sustainable Development Goals. It feels like a historical moment to see its founder, Jacques Fresco, now 100 years old, speaking to the assembly symbolizing the world consolidated government. The Venus project proposes a brand new society and economic structure, where renewable energies and automation enable abundant goods and services, making money and most work irrelevant, and allowing citizens to contribute in the way they want (research, design, arts, or other activities). In our world of increasingly virtual interactions, companies mastering the information technologies and networks are quickly gaining power at several levels. Here is a table to keep an eye on those folks. I use colors to show the now traditional groups: GAFAM in blue, their Chinese twin rivals BATX in red, their US good-guys rivals NATU (Netflix, Airbnb, Tesla, Uber) in green, big media in orange. A healthy rule is to split our personal information and dependencies across different firms, or none of them if you can afford! For more details about media conglomerates, Korean Chaebol 財閥 , Japanese Keiretsu 系列, and the (short) French Wikipedia article on GAFAM, BATX, and NATU. Meanwhile in China, the wondrous Social Credit System looms quietly. Here is the full text outline document in English and Chinese. The keyword to justify it is 诚信 ("honesty", translated here as "sincerity"), a word that Alibaba's champion Jack Ma has been emphasizing a lot in his speeches. I introduced further about this system in this earlier post. And to attack another weak spot, Alibaba's Ant Finance is starting a cooperation with the UN Environmental Program UNEP to build a platform for individual monitoring of greenhouse gas. A green pretext to monitor the people! As media and trends move faster, our consumer societies sometimes undergo spectacularly quick transformations. I have recently noticed 3 notions where cultural conceptions worldwide have been toppled upside down: the consumer will “Adore”, will be “Addicted”, and Ads are here to know what you like and become viral. I’m starting my story the way it came to me. Living in Vietnam, I partly witness the transition and contrast from pre-war generation (under French influence, respectful of Confucian and Buddhist traditions), post war generation (pro USSR, but still keeping Confucian and Buddhist as part of Vietnamese identity), and the young generations (embracing exhibitionist consumerism, iPhones selfies and hipster styles). Throughout Buddhism, “passion” and “enthusiastic fascination” (迷, Mê) is considered evil as a source of suffering. It receives similar treatment in Plato’s philosophy. This word has a negative connotations in Chinese and Vietnamese (e.g. 迷信: superstition, 迷惑: confuse, 迷宫: maze, 迷路: loose way, 痴迷: crazy, 低迷: depressed, 迷醉: intoxicate, etc.) However nowadays, the word is gaining glamour, and is considered as a desirable sign of enjoyment. In this advertisement here-below, it rhymes with Yêu, love. A comparable shift happened long ago in English and French, when the word “adore” became a mere synonym of liking something very much. Considering the 2nd of the Bible’s 10 Commandments, forbidding the adoration of idols, we can see that the word has gone a long way up until now! More surprisingly, as several studies start to warn about the addictive dangers of video games, apps, TV series and others recent digital medias, the very word “addictive” managed to become a marketing catchphrase! Countless ads praise the latest online “addicting games” that will “take control of your life” and “keep you awake all night”. How incredible that the selling pitch of a product uses the exact same language as those denouncing their dangers! Have we gone to the point where self-indulgence, decadence and selfish craving can be openly glorified? Maybe these evils have been blamed too heavily in our traditional cultures and the feeling of guilt now swings back to the other extreme: claiming egoist hedonism and self-intoxication as a new way of life? I remember 20 years ago, advertisement was still vastly regarded as a one-way marketing hunting tool, trying to urge consumers to buy a product or service. Every company was praising its own product and pushing them to the market. Later on, several studies showed that TV audience actually likes ads, for their catchy style and entertainment. Further down the line, we saw Facebook asking us whether we find such or such ad interesting, relevant, or funny to us. That is another great shift: ads are supposed to become “relevant”, and to do so, each of us is supposed to allow Google and Facebook to know our tastes. Now, since most of us can’t really figure out what we would like, Google offers to plays the Gestapo-psychologist and spy on us to predict our behavior, and convert us into consuming appendices of the supply chain. No need to think further, mother Google will tell us “what we like”. Craze and crave in your cradle-grave, with umbilical cords to crate you as slave. Maybe at some point, rejecting the machine assistance to consumer decision could be considered as a seditious act blamed for destabilizing the computed economy? Actually to be fair, modern ads are not purely turning us into passive consumers, but also convert us into ambassadors, to share the ads in turn, either for its fun, or because we genuinely want to share the word. This implies more commitment, and maybe, even critical thinking! Such social interactivity with the ad is the opportunity for freedom of expression through online civil society, promoting or criticizing content. When allowing personal initiative and freedom of speech, one of the next moves of abusive governments is "Social Credit". There are various forms of such rating. So far they mostly focus on the credit-worthiness of loan takers, analyzing their purchase record and contact list to determine whether lending them money is safe. For example the "Sesame credit" 芝麻信用 from Alibaba's 蚂蚁金服 "Ant Financial Service" in China since 2015, with 190 million users. Some dating websites (e.g. 百合 Baihe) encourages users to boast their scores, thus influencing matching, making it de facto a criteria for social segregation. Similar credit ratings are in use in the US (Credit Karma since 2007, and ironically since 2010: Credit Sesame!) Facebook also tried one in 2014, based on social media content, but called it off in Feb 2016 over regulatory issues. Here is a broader and quite perverted version of social credit: Each citizen would be rated based on the compliance of his behavior with a given standard. Criteria could include purchases, message content, readings, travels, studies, and even non-secretiveness (willingness to show all their life for analysis), etc. Bad grade citizens are penalized when asking for services (loan, study, accommodations, etc. ), while good pupils are rewarded. The social credit of whoever you connect with and meet could also affect your own credit, thus preventing social class mix and dialogue. That would be a lovely way to manipulate populations by saying: "Yes you are free, but being "naughty" will make your life much harder..." Besides, whatever criteria included in the evaluation must be provided to the rating agency, since "You don't have anything to hide, do you?". Easy to see how it can go wrong. In Vietnam a still distantly comparable rating system is used: "Gia đình Văn hóa" : 家庭文化: "Family with (proper) culture", which rewards compliant and orthodox families with a public signboard. Areas with above 80% of such families can also apply to receive the award. Luckily, it's a voluntary system and not everyone is monitored.. at least in principle. I hope for an economic model rather centered on demand, where each of us can creatively express his wish about a new product or service, and build up a group of interested buyers. A kind of crowd funding, but only bringing forward ideas to the supply side. The next steps would aim toward a Venus Project model, where mass automation coupled with renewable energies and recycling enables a society of abundance, without money, less work, more freedom, creativity, and meaning. Let's talk about the future! Here is a fascinating proposal of futuristic society: no more money, mass robotization and computerization of optimal decisions, abundance and variety of goods, in the frame of available resources and environmental sustainability. The project also postulate that people born in this culture without scarcity nor competition would be free of greed, theft, and related violence. They would simply have the pleasure to what they are good at to serve the common good. Unlike in communism, computerized science and abundance allows sound decisions without corruption. Administration would be minimal and transparent. On the flip side, i don't think the issue of democracy can be discarded as they suggest, since many decisions are not only scientific: e.g. "What shall we maximize: freedom, happiness, aesthetics, or survival chances? (see my "map of ideals") Bioethics: Shall we allow human genetic engineering? Do we want Brave New World? How much freedom of speech do we allow in the face of science?" We need democracy to avoid a technocratic dictatorship. Further on the issue of robots and computerized decisions, like in "I, robot", I believe we could see some phenomenon of interpretation of basic principles (e.g. "Harm no human") which would imply some sacrifice once applied at global level, violating these same principles. e.g. "To save the group we might sometimes sacrifice few." With nascent consciousness, robots might not be so good at philosophy! Again, that calls for some democracy, or at least a check-and-balance of powers. Je voudrais proposer un point de vue plus large et un brin machiavélique. Demandons-nous à qui profite cette situation de « dictature amie » ? Au dictateur lui-même bien sûr, et son cercle d’amis au sommet du pouvoir. Aux pays occidentaux soutenant le régime, car ils ont maintenant les faveurs de ce régime corruptible qui autorise généreusement leurs entreprises à venir exploiter les ressources nationales (pétrole, minerais, bois, etc.). L’histoire montre que les dictateurs hésitent rarement à brader leurs richesses nationales pour recevoir en échanges protection et pots-de-vin. Aux extrémistes enfin, qui se retrouvent participants actifs de cette arnaque, souvent à leur insu. En effet ils sont bienvenus pour faire quelques attentats de temps en temps, et on leur garanti la meilleure couverture médiatique, car le spectre de leur menace est indispensable pour justifier et maintenir la situation. On parle d’eux et de leurs projets. 1. Le pays développé "A" louche sur les ressources d'un pays du Tiers monde "B", mais ne peut pas le coloniser car ce n'est plus une pratique tolérable. 2. A met en place un régime autoritaire en B qui est redevable, voire même dépendant de l'aide de A. 3. A envoie ses entreprises se servir chez B. 4. A confectionne une menace pour justifier l'utilité du régime dictatorial B.
Il se retrouve emprisonné dans une société dictatoriale et arbitraire. Les ressources de son pays sont pillées par les compagnies des pays occidentaux complices. Ils sont victimes du terrorisme et de la radicalisation organisée pour entretenir l’extrémisme. De nombreux pays correspondent plus ou moins à ce profil, souvent autour du pétrole : Gabon, Turkménistan, Afghanistan, Arabie Saoudite, etc. Pendant la guerre froide, le seule fait de ne pas être communiste a permis à des régimes dictatoriaux d'Amérique Latine de recevoir le soutient des États Unis. Résumé d'une discussion philo, qui s'avère être bien plus long et tordu que la discussion elle même !